Slightly off topic but one to note if you are deploying Java 7 update 10+ with SCCM. 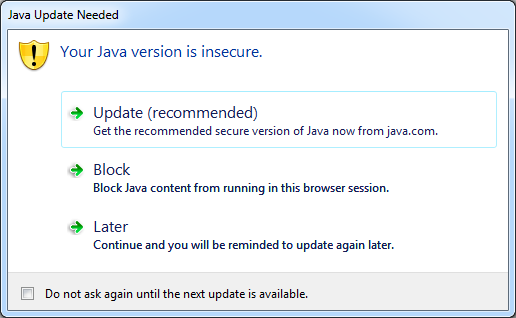 If you have the luxury then update to Java 7 update 40 as this ‘bug’ has been resolved. Although some extra settings need to be added to your deployment. Create a new string value called deployment.expiration.check.enabled and set the value to false. Push out the file and registry change with your Java deployment.